Eric was full of energy…an energy that propelled him and drew others to him. He had a gleam in his eyes, a smile on his face and a loud contagious laugh. Eric was fun; he brought life and laughter to any occasion. His passion for sports was evident from the time he was a young boy. Eric began playing in-line hockey at 6-years-old. Initially he played goalie, then the coach suggested that he play on the line because he was fast and a strong skater. Eric played on numerous hockey and tournament teams. His passion for sports was evident from the time he was a young boy. Eric began playing in-line hockey at 6-years-old. Initially he played goalie, then the coach suggested that he play on the line because he was fast and a strong skater. Eric played on numerous hockey and tournament teams. Due to the summer time commitment, Eric decided not to play football in his junior year of high school. When the season rolled around he said “mom it’s killing me to not be on the field playing.” That’s when he became the self -appointed mascot and crowd instigator at the high school football games. He slathered his body with black and gold paint (his school colors) and draped himself with a black and gold stuffed snake. He could stir up a crowd (in a positive way)! Eric was concerned about getting behind in his school work and pushed himself to go to school and get caught up on missed assignments. He was tired and had headaches but continued to do a little more each day. When I asked him how he was feeling and if he felt a little better each day, he said “yes.” He was released from the hospital on a Monday; one week later he went to the school’s work-out facility with a friend to lift weights. Ten days after Eric’s rugby concussion and seven days after his release from the hospital…the day after he lifted weights…as we sat down to our family dinner and said our prayers, suddenly the unthinkable happened. Eric’s body stiffened with clenched fists, his eyes rolled back in his head and Eric collapsed with horrible sounds coming from his airway. We immediately called 911 and performed CPR until help arrived. He was taken to the hospital and pronounced dead. Eric’s brain had swollen and herniated, cutting off his breathing and heart rate. Learning that Eric’s brain showed signs of Chronic Traumatic Encephalopathy (CTE, deposits of abnormal, toxic protein, called tau) was shocking. For years we had enjoyed watching Eric give it his all as he competed in sports. He had so such passion and drive; it was fun to watch him. Eric thrived on the competition. Although I was always concerned about injuries, I didn’t know that damage could have been accumulating in Eric’s brain. All of the times that Eric accelerated and stopped quickly, his brain was hitting against the skull of his head. 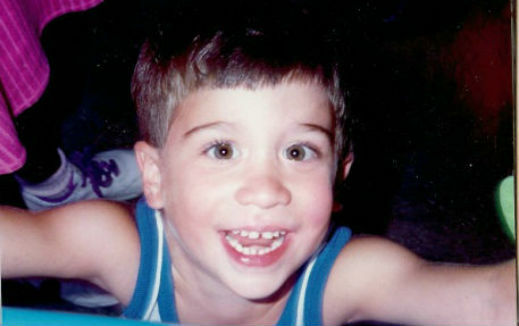 Information about concussions is much more readily available today than prior to Eric’s death. 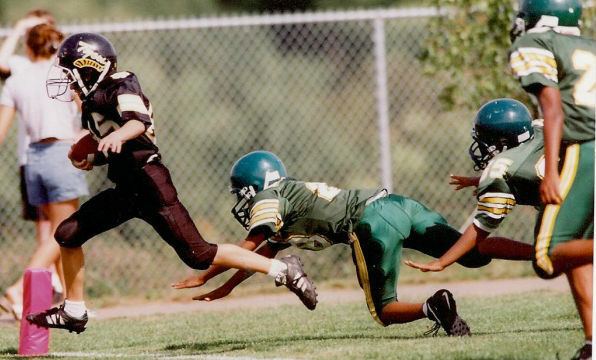 I am pleased to see all that Dr. Cantu, Chris Nowinski, Dr. Ann McKee, Dr. Robert Stern and the Concussion Legacy Foundation are doing to get the information out. Dr. Cantu’s book lists excellent questions to ask athletes following a hit or jarring of the brain. You can read more about Eric’s story in "Concussed" by Keith Primeau and Kerry Goulet. Keith and Kerry were both professional hockey players who formed stopconcussions.com after retiring due to concussions. They work tirelessly to educate athletes, coaches and parents about concussions, emphasizing safe play and respect for oneself and the opponent, along with proper management of concussive head injuries. It is important to our family to do everything we can to prevent a tragedy such as Eric’s from happening to anyone else. Each year, our family hosts an event to raise awareness and increase knowledge about concussive head injuries. It started as a basketball game among Eric’s friends and the teachers at his high school and has progressed to a basketball tournament with community involvement. Last year we had 34 teams compete. Kerry Goulet from stopconcussions.com captivated the attention of students, teachers, and parents with his entertaining way of delivering a very serious message. For more on Eric's story, read an article by MTV News here. To learn more, please visit Eric’s website here.